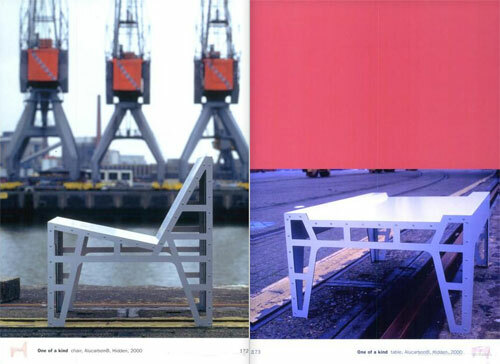 Richard Hutten is one of the most successful of the new generation of Dutch designers that developed its reputation through the pioneering work of Droog Design. His real name is now turning into a brand name all over the world, especially in Japan. This is quite remarkable for a designer who avoids compromise. 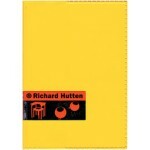 Nobody tells Richard Hutten what to do and he hates to impose interpretations of his work on others. He works according to a very strict method, inventing playful constraints and limitations that he applies ruthlessly. That makes him a conceptual designer if ever there was one. Hutten’s objects typically possess extreme clarity of form. Everybody recognizes his designs for what they are. But because of Hutten’s strictness they still leave an unexpected amount of freedom in interpretation. 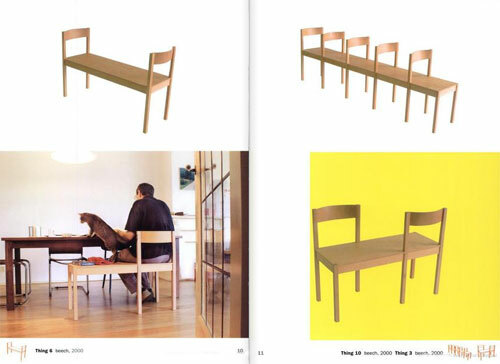 The austerity of Hutten’s designs is the rare kind that makes you feel cheerful. Richard Hutten finds joy in anybody who comes up with an idea to use an object of his in a way that he himself had never foreseen. 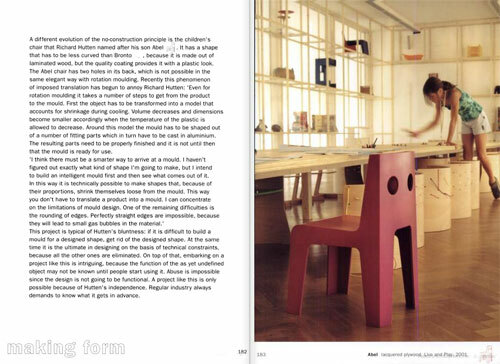 The author sheds more light on the designer’s playful way of thinking that led to a chair consisting of tables, a children’s mug with the right size of ears and some beautiful interior projects. Surveying Hutten’s work, it can be roughly divided into two main groups according to the kind of constraints it evolves from. In the first group the most important rules are mostly symbolic. The other main group of constraints evolves from manufacturing and technology. In practice things are not that clear-cut. More often than not designs are the consequence of a mixture of chosen limitations, in particular when they concern complete interiors. The range of mixtures provides the visual outline of this richly illustrated, strictly symmetrical book.